The probe is said in a treason case. The Security Service of Ukraine (SBU) conducts searches in the Kyiv and Odesa offices of the company Yandex.Ukraine, Yandex spokeswoman Asya Melkumova told AIN.UA. "We do not yet have information about the reasons for today's actions of the Security Service. Our legal offices are ready to provide the necessary information to the [law enforcement] agencies," she said. 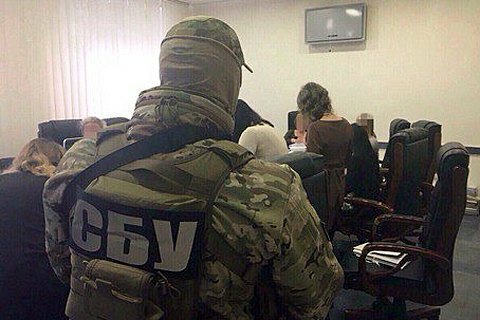 The press secretary of the SBU Olena Hitlyanska, in turn, confirmed the fact of searches that within a criminal case on charges of high treason, she said. The article 111 of the Criminal Code of Ukraine includes a threat of information security of the country. The offence under this article is punishable with 12 to 15 years of imprisonment with the confiscation of property. The troubles of the Ukrainian Yandex have transpired after the decision of the National Security and Defense Council to block some Russian social networks websites, including Mail.ru, Yandex and their services earlier this month. In responce, Yandex.Direct suspended the reception of payments in Ukraine because the accounts of Yandex.Ukraine have been blocked by banks. On May 26, Yandex.Ukraine announced suspending its financial obligations.